Back to work I go. | Then there were three.. I used to work full time in a web chat department (not the dirty kind - I promise!). When I start back I will be working three days a week in a different department. I'm in two minds about going back; a part of me is dreading it having deal with a new job and new people. The other side of me is looking forward to a routine and not having a one year old swinging off my leg trying to grab my lunch. I never thought I would consider myself lucky to be able to go back to work - I know a lot of women who couldn't afford to go back to work de to the costs of childcare. 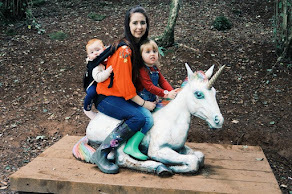 This was actually the main reason as to why I decided not to go back full time - the childcare would have eaten up about 80 per cent of my wage. I know other women choose to stay at home - these are the women that I praise as I certainly couldn't do it myself. Usually you should be entitled to ten kit days throughout the course of your maternity leave. Utilise these to your advantage, especially if you are going to a new job. Use them to familiarise yourself with your new role and colleagues - I'm so glad that I did! One of my training days fell on Aoife's nursery day. I used this to practice the nursery run. I managed to get there early and got to work with 35 minutes to spare. As I was going into a different department I requested training. I had actually done the job before but it had been four years ago, so I definitely needed a refresher. A lot of people don't bother with this as they think it'll all come back to them. I'll agree that a lot of it does just come back to you but I'm surprised at how much I had forgotten and how many things had changed. Hopefully this will help anyone else returning to work - it'll be fine!